Welcome to our Trade Counter - stockists of PVCu building plastics, silicones, tools, hardware and much, much more! Based at Telford Way, Bedford (just off Cambridge Road) our trade counter is a well-known uPVC hardware supplier with over 6500 products from top brands such as Kestrel, Kayflow, Soudal, Xpert, Hoppe, Yale, Glazpart, Stanley, Stelmax, Thor, Bahco, Don Carlos, Rapierstar plus many more! We're sure it'll earn your seal of approval. Count on fair prices, professional results, excellent usability and colour options to match any project with the new reXon range of quality silicones, caulk, adhesives, fillers, PU foams and cleaners – distributed in the UK exclusively by Window Ware. We're proud to have a wide stock-holding and low, trade only prices on fascia and soffit, window trims, guttering, hand tools, silicones, bow canopies or composite doors from Solidor or Doorstop. Our trade counter delivery service is great for customers who want products delivered direct to site. The service not only covers Bedford, but the surrounding areas too! Customers within a 30 mile radius can benefit from a free van delivery service for orders over £50 + VAT. This service covers Bedfordshire, Hertfordshire and parts of Cambridgeshire and Buckinghamshire too. Just give us a call on 01234 242734 and we'll let you know if your postcode qualifies! 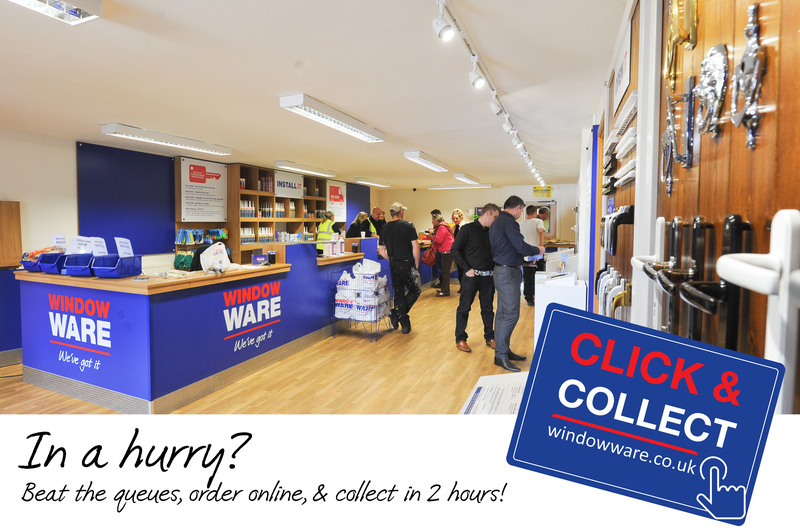 Visitors to the Trade Counter are welcome to shop in-store and collect immediately, or take advantage of our click and collect service. So much stock to browse you'll be spoilt for choice.